Hello, am a former professional dancer and now a fully qualified, DBS checked dance teacher and Zumba ZIN member, registered with the Royal Academy of Dance (RAD) and a member of the International School of Dance Teachers (ISTD), so that you know you or your child are receiving tried and tested methods of dance teaching with safety standards kept to the highest level. 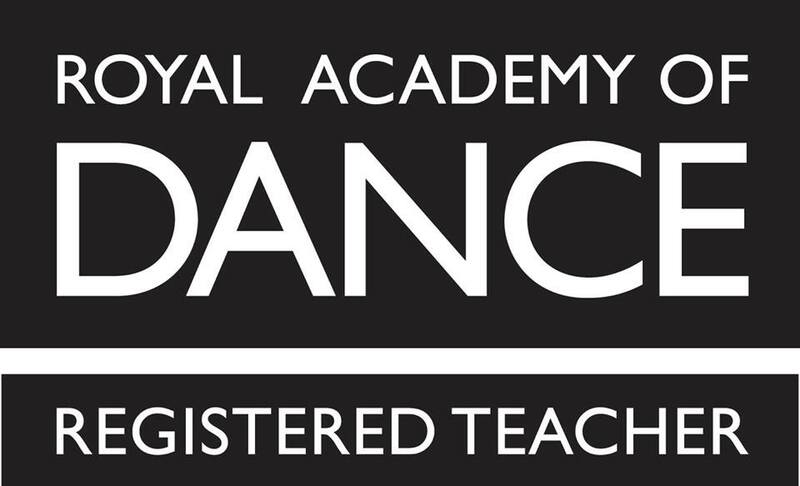 Currently teaching RAD ballet (from Pre-Primary through to Advanced Foundation) at both the lovely Hasland Dance studios and at my shared school The Bridge Academy of Performing Arts in Rochester, with Lynne Brownette, where we also have ballet classes for adults too. For those who prefer something a little livelier, I teach Zumba ... also at the Hasland Dance Studios. I also work with The Right Step Dance Company bringing dance to the community where I teach their Active Armchairs program for older frailer adults. Ballet, Modern, Jazz or Zumba, whichever you fancy, there is a class for you. Elephant.co.uk: Played "Trunkie" the dancing Elephant. The Lenny Henry show Playing Mrs Overall, in the Kelis Milkshake spoof. Choreography by Nicky Hinkley. Tiny Living Presenting the continuity links during the pre-school shedule shown every morning on the Living Channel throughout 2003 and into 2004. Royal Mail advisory ident, featured dancer. Choreography by Aiden Treavere. Queen's Golden Jubilee Ident for the BBC, Featured artist, choreographed by Lietze Bikke. Tiny and Crew Playing Tam, the all singing, all dancing rag doll. A pre-school educational programme for the Living Channel. Directed by Adrian Headley. Choreography: Myself and John Tobias. The Frank Skinner Show Choreographed two episodes in series two of his television chat show: namely the "Britney Spears" sketch and the "Fat boy Slim" sketch. The Richard Blackwood show Choreographed and danced in the Ben Elton "Can Can" sketch. Pride and Prejudice, choreographed by Jane Gibson, for Working Title Films. Phantom of the Opera, featured Masquerade dancer. Directed by Joel Schumacker and choreographed by Peter Darling. Finding Neverland: Clown dancer. Choreographed by Jonathan Butterall. Regular dancer for choreographer: Kevan Allen Including events such as Toyota Motors promotional galas, and many other conference performances. Roller Blader dancer for the Lord Mayor's Show 2004. Played an acrobatic imp for Ford Transit show at the Hamburg Motor Show. Played a young, sporty type for Nissan at the Geneva Motor Show. Re-creating the role of Chee Chee on the UK tour, directed by Stephen Pimlott. Joseph and the Amazing Technicolor Dreamcoat Played Issachar's wife and the Apache Girl for the Uk tour, directed by Stephen Pimlott, choreographed by Anthony Van Laast. Souls in Motion IV Soloist in the European tour. Choreography by Anthony Van Laast, Claude Paul Henry and Stewart Arnold. Chameleon: part of the Resolutions program performed at the Place Theatre, London. Assistant chorographer to Lynn Page (Tony nominee for La Cage aux Folles) as well as dancing in the production. Kylie Minogue: The Love Kylie underwear launch, as part of the Selfridges "body" season choreographed by Bunty Mathias. Geri Halliwell: Supporting dancer on her From Russia With Love tour, choreographed by Luca Tomassini. Tina Cousins: dancer throughout her solo promotional tour of Europe and the UK, including appearances on CDUK, Top of the Pops, Nickelodeon etc choreographed by Johnny H.
Beatz and Rhymes "My Heart Beatz" choreographed by Samantha.